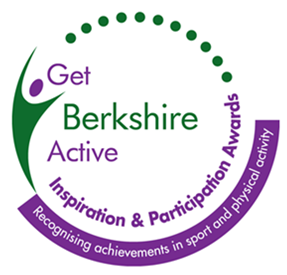 The Nomination process for The Get Berkshire Active Awards 2018 is still open! Our awards are a fantastic opportunity to showcase the hard work and commitment that many have made to improve the quality of physical activity and sport across Berkshire, categories include the likes of Coaches, Clubs, Youth Projects, Lifetime Achievement and many more! Choose the category and nominate a Person, a Club or a Team and help Berkshire celebrate their achievements! Many thanks for joining our Partner Network on the 11th September and for participating in discussions on funding opportunities, challenges and ideas. 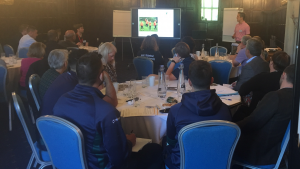 Our speakers - Teri Kearsey from Berkshire Community Foundation and Howard Thompson from Sport England - shared essential information on funding including advice on successful applications, barriers and challenges as well as sharing practical tips. Please visit our website for the presentation from the last network. On the 5th of October, GBA hosted a Conference for partners who work in the disability, physical activity, health and sport sectors. The keynote was delivered by Jo Metcalfe and Dr Nick Tupper from Think4Wellbeing, experts in the field. The purpose of the conference was to ensure that delegates were fully aware of the multitude of benefits of physical activity for this client group, develop greater connections between the disability and physical activity sector and ensuring that providers have a thorough knowledge of the barriers of physical activity to this client group and how they might be overcome. Our next Sport and Physical Activity Network (SPAN) for partners on January 24th 2019 will also focus on older adults and people with disabilities. In addition to hearing a top key note speaker in the field and receiving updates from GBA there will also be a speed dating session connecting partners who work with older adults and people with disabilities and partners who work in the Sport and Physical Activity sector. Keep an eye on our website for further details. GBA supported Royal Berkshire NHS Foundation Trust for World Mental Health Day on the 10th October. 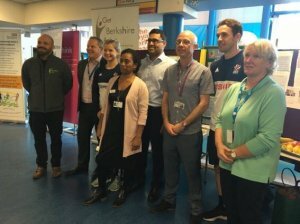 On this day, GBA were invited to the Royal Berkshire Hospital to speak with patients and staff about the impact physical activity can have on Mental Health. It was a really great event to support, along with Reading FC and GB Hockey, with many positive conversations taking place with those currently experiencing difficulties or having previously suffered with a mental health condition. It were found that keeping Physically Active is a great way to enhance all our mental well-beings, therefore, check out our activity finder to see what is taking place near you. GBA is organising community events around the county to bring even more people together! 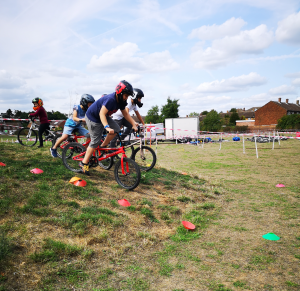 We want to help connect partners with local residents to break down barriers and enable more people to become active. There is no better way to learn more about a community you'd like to work in. Are you acting in Britwell, Slough or Whitley, Reading? Get in touch with Chelsea chelsea.piggott@getberkshireactive.org to join the very first events. 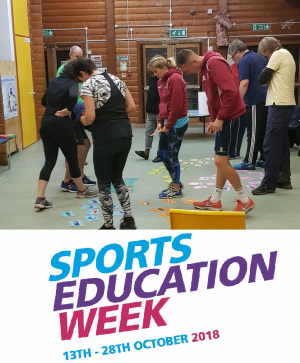 GBA held their 3rd Sports Education Week from 13th October – 28th October and for the first time extending the campaign to 15 days! 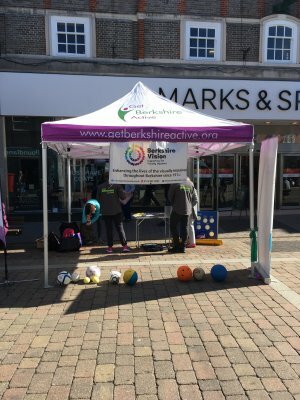 The campaign saw 8 educational events across Berkshire and engaged with 114 coaches, volunteers, professionals and club representatives. We want to thank all that got involved and we welcome any feedback or suggestions for next year. 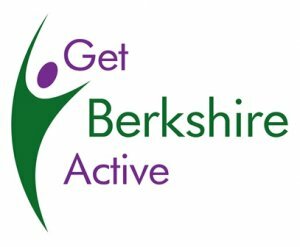 Get Berkshire Active are currently seeking for a new board member to join our team! If you share a passion of using sport and physical activity to positively change lives, then we would love to hear from you! For further information, click on either image! To raise awareness of mental health problems and the benefits of being active, the founder of Berkshire mental health charity Sport in Mind, Neil Harris, has been challenged to take part in 100 different sports in 2018. Could you provide an opportunity for Neil to come and participate in your sport? Get in touch with Sport in Mind. They have a great social media following and therefore it will be a great promotional opportunity too! Are you interested in supporting more 14-19yr olds to become active through your sport? We have Satellite Club funding to support clubs and non-sporting organisations to encourage the most hard to reach populations to become more active! *All clubs must target young people living in an area of higher deprivation. Getting our Feet on the Street! 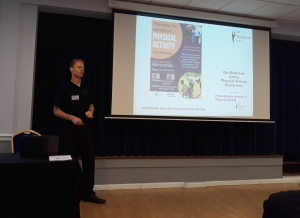 In late September, GBA went out to engage with the local people of Newbury to understand what the motivations and barriers towards physical activity participation for those aged 50+ or living with a Long Term Health Condition. Thanks to Visit Newbury and West Berkshire Council for allowing us to do this valuable consultation and the findings of this event are helping to shape our future work. This Girl Can has launched a new phase of its award-winning campaign that's working to drive down the gender gap in sport. 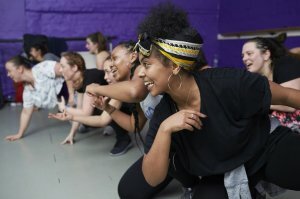 #FitGotReal aims to build on the campaign's achievements so far, as well as specifically reaching out to women of backgrounds and ethnicities who feel left behind by traditional exercise. This Girl Can campaign returns with the new inspirational Fit Got Real message. A new inspirational video is launched to encourage the women to become more active. Please do share, like, post, regram and help spread the word on your social media channels with #ThisGirlCan #FitGotReal hashtags. Will you help us encourage women and girls of all shapes, sizes, abilities and backgrounds to get active? Whether you run a class, club or leisure centre, or are just on a one-person mission to help women you know and care about find their way to get active, there's something for you in our This Girl Can Supporter's Toolkit. Loads of photos, logos, templates and tips, you'll be able to use the This Girl Can campaign to create or promote your activities, and help get women and girls moving more and feeling great. If you're a School, Leisure Centre or a parent with kids under 6 years of age, Balanceability could be the organisation just for you! 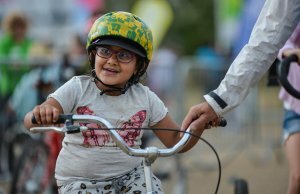 They run various programmes to get the young one's learning to cycle county wide! Click on either image for more information.